I'm a day late on my post - many apologies! I've been stuck in bed ALL dang week sick. I managed to get out of the house yesterday to get to the doctor for some medication, and that's about all the energy I had. I'm feeling a smidgen better today, so wanted to make sure I got this posted – never want to miss a week of Friday Five! 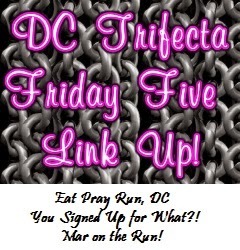 Anyway, I'm linking up with the DC Trifecta: Courtney at Eat Pray Run DC, Cynthia at You Signed up for What?, and Mar at Mar on the Run, as I do every Friday (or Saturday on a rough week ;) ). Thanks for hosting, ladies! 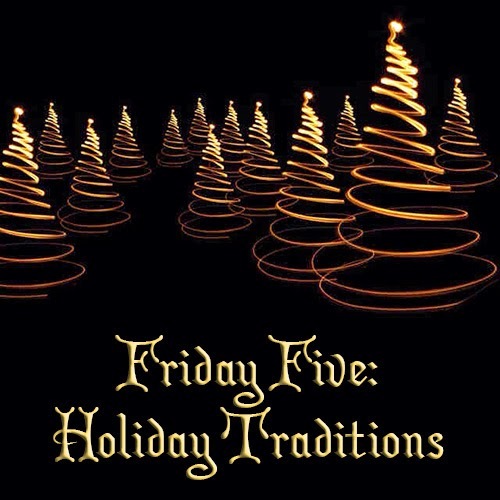 This week's theme is "Holiday Traditions". 1. Christmas Eve Mass. Every Christmas Eve I go to mass with my siblings and my mom. 2. Christmas Eve at my house. Starting a few years back, we started having Christmas Eve at my house. It has a little more room than my mom's, so my nephew has room to run around. With all of the new additions to the families (wives and kids), it made it easier to squeeze everyone in. 3. Popeye's Chicken for Christmas Eve Dinner. This has been a long standing tradition in my family. I honestly can't remember a time we didn't do this. 4. Movie time. My husband and I love watching movies during the holidays. We've been trying to get in a few Christmas movies (like Christmas Vacation - I've never seen it, if you can believe such a thing.) and I need my all time favorite White Christmas. If we find a day of nothing, we'll be doing a marathon of the Lord of the Rings Triology. Love it. 5. Baking cookies with my mom. I think I might have mentioned this in a post previously, but I always bake butter and sugar cookies with my mom before Christmas. 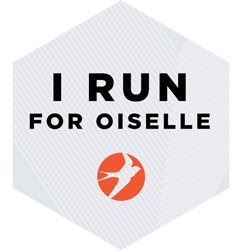 I've been sick so haven't had the chance to do this yet, but I'm hoping I'll be better by mid-next week to partake in our tradition. I'll be so sad if I can't make it. I hope you enjoy Christmas Vacation. We are the Griswolds! And we can recite lines from the movie. I hope you get to make cookies with your mom. It was funny! No baking with mom, but hoping to do some in early 2015 to make up for it. Sorry you've been feeling sick :( I was sick last week. I hope you're better in time to bake those cookies! Thanks - sorry to hear you were! Seems like everyone has a touch of something. Hope you're feeling better now! I can't believe you haven't seen Christmas Vacation before! It's a really fun movie, and I think you'll find it pretty enjoyable. I also really like the 90s version of Miracle on 34th Street. I don't think I'll be getting to mass this year since I'll be in NC with my fiancé's family (not really religious, also not Catholic), but one of my favorite traditions is going to midnight mass! I know, it's one of those cult classics that everyone should see... glad I finally knocked it off my list. Hope you have fun in NC! Happy Holidays and hope you are feeling better. 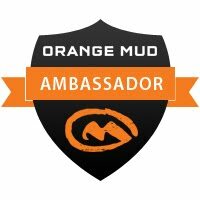 I think something is going around! My favorite fried chicken is from Popeyes :) This week my parents will host their holiday party - always fun. Hope you are doing better in time for Christmas. I've been super sick with the kiddos too, it makes it tough to get things done! Decorating cookies with my mom and grandma is one of my favorite holiday traditions as well. We had to postpone it with the kids being sick so I am looking forward to decorating cookies this week! Sorry that you're sick!! I hope you feel back to 100% soon so you can enjoy Christmas. These sound like great traditions! Some of my favorite traditions: individual mini pizzas for lunch on Christmas, Christmas Eve service at church followed by driving around looking at lights, and opening gifts really slowly on Christmas day. Thanks! Still feeling pretty crummy, but doing the best I can to get healthy and still enjoy this special time. Those sound like lovely traditions (especially the mini pizzas! ).